INDEPENDENCE, OHIO– The Cavaliers are hoping a new version of their old formula will get the team back on track during their current month-long rough patch. After remaining adamant throughout the last month that there would not be any lineup changes, head coach Tyronn Lue announced after the team’s practice on Thursday that he would be moving Tristan Thompson into the starting five while Jae Crowder will come off the bench. Lue alerted them of the change this morning. With Thompson in the starting unit, the Cavs won’t blitz (aggressively trap) on screens as much, and will instead rely more on two-on-two defense in those situations. Offensively, Lue believes having Thompson in with Isaiah Thomas will help mix up the Cavs’ screen and roll sets. But while the change is new this season, it is hardly a new one for Thompson. Crowder has started in 43 of the Cavs 46 games this season. 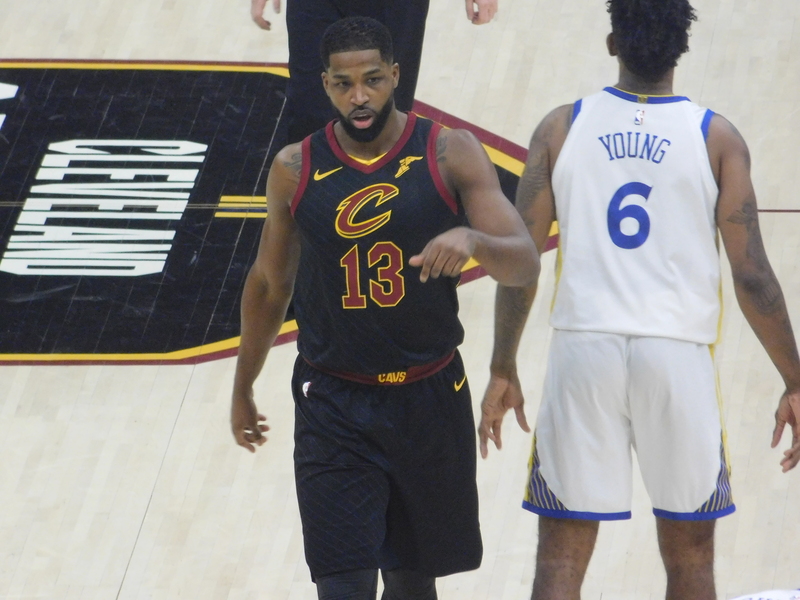 Thompson has started in five, and his return means that the starting unit consists of four out of the five players the Cavs have relied on over the previous three seasons in LeBron James, J.R. Smith, Love and Thompson. But while adding in Thomas is the only change from last year, it is still a pretty big one. “I guess you could say it’s familiarity, but a big piece that was a part of our offense last year was Kyrie (Irving),” Thompson said. “And IT is a part of our team now, but they’re two different players. Even though us four we know each other, changing point guards, you’ve gotta get used to that. They’re two different guys and they play differently. Thomas is still coming back into his own and has played in just eight games this year since his return from a hip injury. He is currently averaging 15.9 points, but struggling while shooting 39.1 percent from the field. Lue says that teams have targeted Thomas and Love in pick and roll situations, and putting Thompson at the 5 will hopefully mitigate some of that. It’s a benefit James also recognizes the potential of. For now, that is the only lineup change that Lue is implementing. Whether or not it will be the only one down the stretch, and whether it will make a substantial difference remains to be seen.